One of the most joyous parts of the holiday season for cocktail aficionados is gathering with friends and family, and enjoying a drink together. There are some seasonal favorites that only make an appearance around the holidays, like eggnog or a classic rum punch, or you can whip up a classic cocktail like the rye whiskey Boulevardier. Finally, after the early evening tipple comes to the exchange of gifts- and you certainly don’t want to be caught empty-handed. If you’ve already racked your brain for the perfect Christmas cocktail gift and are surprisingly stumped, here are some great ideas for a cocktail and bar-themed Christmas gifts. There are a lot of cocktail bitters on the market today, because new companies are eager to experiment with new styles. Fee Brothers was established in 1863, and has a rich history of making high-quality bitters in a variety of exceptional flavors. Since 1863, they’ve remained a family-owned company. Their bitters 6-pack is a great place to start. For a relatively low initial cost, you can gift a fellow cocktail lover with a variety of flavors including Peach, West Indian Orange, Grapefruit, Lemon, Mint, and Old Fashioned Aromatic. 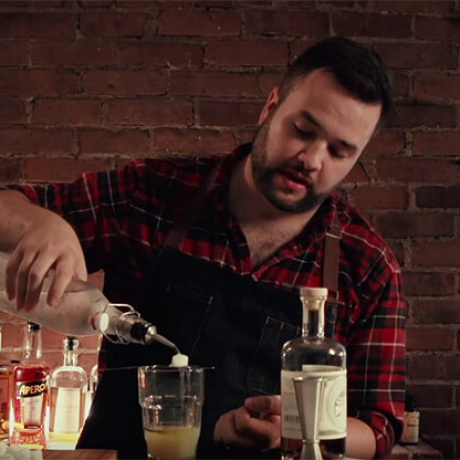 Just a drop or two can add depth to tons of different cocktails, and can really help elevate an at-home bartender’s creations. If you struggle with creating the perfect ice cube with your cheap ice trays at home, get ready to have your mind blown. The Ice Kit from Studio Neat comes with two of their signature clear ice molds, which forces all the impurities in the ice block down to the bottom, making an entirely clear top half. Their kit comes with either one mold or two, plus a chisel, Lewis bag, and muddler. Together, they can be used to make perfectly clear ice and shape it to any desired size. A kit likes this makes crushed ice drinks like mojitos and caipirinhas a breeze. Plus, the perfectly clear ice cubes will make any Manhattan look like the work of a professional. With many people trying to cut down on single-use plastics, having a huge stock of straws at home is therefore not the most environmentally-friendly choice. If you know someone who enjoys sipping their cocktails through a straw, this pack of metal straws is a great gift. They’re the perfect size for a stocking stuffer, but they make a thoughtful hostess gift as well. This pack comes with nine different straws in five different styles, including a wide straw for boozy milkshakes, and shorter straws for rocks glasses. Most importantly, the package also comes with two handy cleaners, but the straws are all dishwasher safe. If you’re gifting a cocktail shaker, it certainly must be the best. Don’t give a friend or family member a cheap aluminum shaker that will just leak everywhere. Boston shakers are the tool of choice for professional bartenders, and they’re not as scary to use at home as you would think. 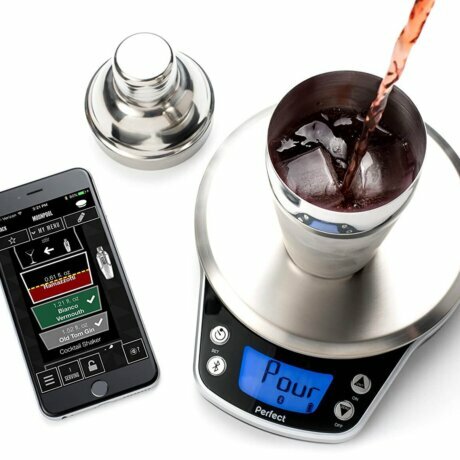 This set comes with a stainless-steel shaker cup, and a tempered shaker glass- a much better choice than an all-metal set. An all-metal shaker may be cheaper, but as the metal gets cold, it seizes up, which can lead to leaks or a shaker that won’t separate. This won’t happen with a heavy-duty, tempered glass cup. 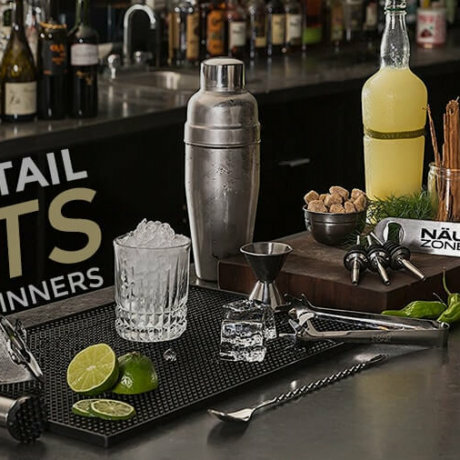 Along with your cocktail shaker, this set of six different bar tools is another perfect gift for any cocktail lover. This set comes with a Hawthorne strainer, cocktail muddler, a European-style bar spoon, a double jigger, zester, and bottle pouring spout. 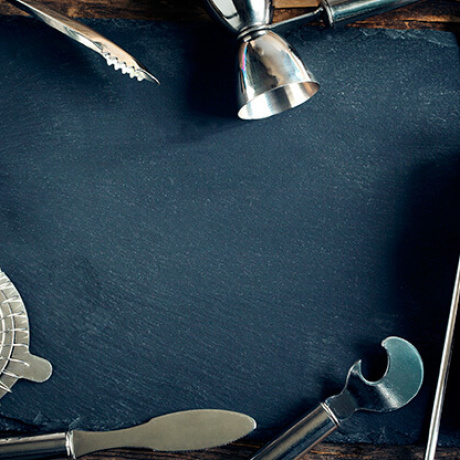 All of these tools are well made and will quickly become workhorses in any home bar. It’s a great gift for someone who is just starting out and will encourage them to continue stocking their bar with high-performance, good quality tools. Written by Amy Stewart, The Drunken Botanist is an informative book about the plants that make up our favorite drinks. Stewart starts with the most foundational plants, like agave and wheat, and carries on to the most obscure botanicals and even bugs that flavor our favorite liquors. Along the way, readers will learn about the history of the most famous drinks that we all enjoy today. It’s the perfect gift for someone who loves history, or botany. Plus, it will keep them stocked with well-informed party anecdotes for years. These adorable miniature cocktail kits from W&P Designs are the perfect gift for anyone facing another long trip home for Christmas. Tucked into a metal container not much bigger than a credit card, these kits each come with everything you need (minus the alcohol and glass) to make your favorite cocktail. Depending on which kit you buy, you’ll find anything from a minuscule bottle of bitters to a tiny cocktail spoon, small-batch syrups, salt, plus a tiny jigger and coaster inside. All of these kits are TSA compliant and make two full cocktails- enough for the recipient and their travel companion. Finally, this gift pack comes with three unique cocktail- the Moscow Mule, Gin and Tonic, and the Old Fashioned. First of all, no cocktail party is complete without a bowl of nuts for people to snack on as they sip. The holidays are a great excuse to break out the fancy stuff, like this container of BobbySue’s Nuts. Made with roasted almonds, cashews, and pecans, the mix is covered in a crunchy coating of spiced meringue. This jar of nuts elevates any host’s bar snacks. It’s a great gift because it’s just the type of thing that someone wouldn’t purchase for themselves. These nuts would be equally at home in a glitzy bowl on the bar, or paired with cheese. This cocktail recipe book is unique because it puts a literary twist on some of our favorite cocktails. 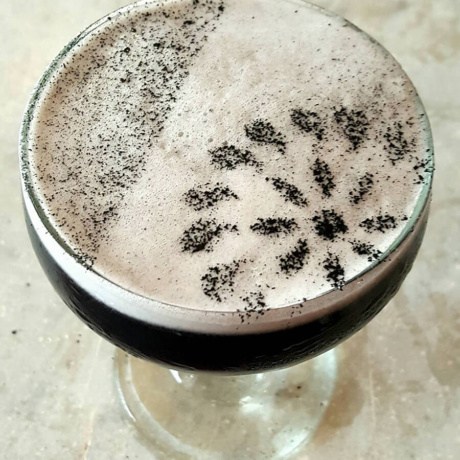 Written by Broadway actor and entertainer Tim Federle, Tequila Mockingbird is full of recipes for cocktails inspired by literary classics. Consequently, it’s a great gift for someone who loves to read and drink- although maybe not at the same time! 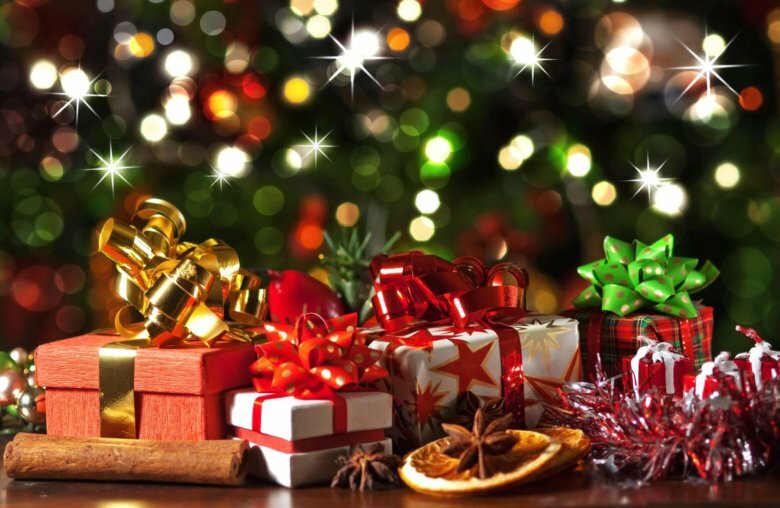 Also, if the recipient enjoys this gift, Federle wrote another edition in 2015 called Are You There God? It’s Me, Margarita, which would be perfect for the next gift-giving holiday. Sugarfina makes elegant sweets packaged in neat cubes that make amazing Christmas cocktail gifts. They have a number of cocktail-inspired gummies like Moscow Mule Bears, Peach Bellini hearts, and Cuba Libre squares. To make these delicious gummies, they’ve partnered with Tito’s Handmade Vodka, and Casamigos Tequila. If you want a variety, Sugarfina offers boxes that can be filled with 24 different flavors of gourmet candy. If you’re giving a gift to someone whose drink of choice is a Manhattan or an Old Fashioned, you need to buy them these Woodford Reserve Bourbon Cherries. They’re certainly more elegant in a Manhattan than the cloying Maraschino cherries that are the novice bartender’s choice. Made with stem-on cherries specifically hand-picked in Oregon, the smell of bourbon is evident as soon as you open the jar. In a drink, these cherries add the perfect amount of depth and sweetness. Even better- you can buy them a two-pack. One to gift, and one for yourself. If you’ve got a G&T lover in your life, these Jack Rudy syrups are the perfect choice to ensure they’ve finally got a reliable stock of quality tonic water at all times. If you’ve only got three ingredients in your cocktail, every one of them counts. Also, most grocery stores only carry a few brands of generic tonic, and it’s hard to find quality brands. These syrups eliminate all guesswork, because all you need is a splash of syrup to make excellent tonic water. This three-pack comes with Jack Rudy’s classic tonic syrup, elderflower tonic syrup, and extra-bitter tonic syrup. Even more flavors for much less effort! One way that you can elevate any home cocktail is to barrel-age it. Many bars have started doing this, and it truly allows the flavors of cocktails like the Negroni, Old Fashioned, and Manhattan to mellow over the course of a few weeks or even months nestled in a wooden barrel. In contrast, bottle-poured cocktails just don’t have the same depth of flavor. This 2-liter barrel is made from solid oak with steel hoops. It also comes with a complete instruction card for sealing the barrel with the included wax. Furthermore, it’s packaged with a recipe book with 30 different ideas for barrel-aged cocktails. 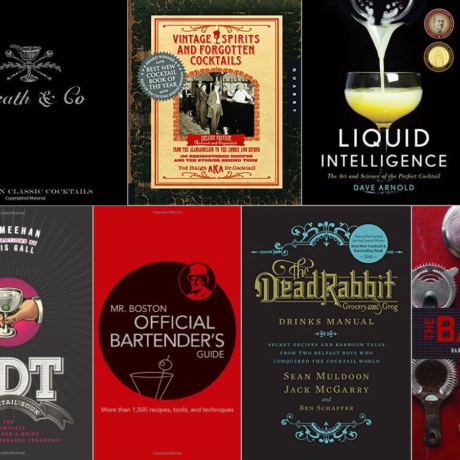 Got someone on your list that’s also interested in the history of the cocktails? The Savoy Cocktail Book makes a great gift. The book was written by Harry Craddock, unquestionably one of the most famous bartenders of the 1920s and 1930s. Craddock single-handedly invented many of the cocktails we still enjoy today and also helped to popularize the dry Martini. In this new 2013 edition, his original text is fully reproduced, with excellent color illustrations. A hardcover edition will certainly be appreciated by any cocktail lover.